Help several species of birds create cozy spots for their eggs using this Songbird Essentials Nesting Material. This unique blend of 6 different materials is great for helping several of your feathered friends during nesting season. 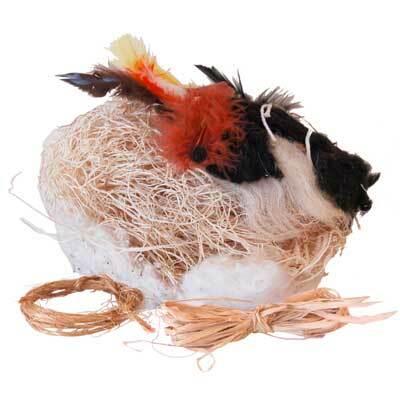 The feathers, wool, and string all install easily into an existing nesting material holder (not included), and invite a variety of birds to use them. Ensure the birds in your area can easily build their nests by offering them this Nesting Material. Made in the USA.